Bhumi, One of India’s largest youth volunteering organisations is asking the youth of India to volunteer during Daan Utsav (a.k.a. Joy of Giving Week). We are looking for volunteers between October 2-8. 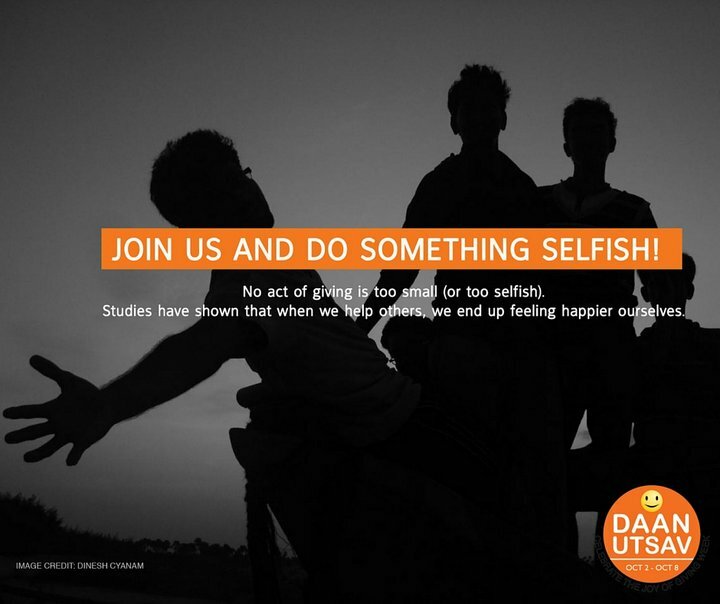 You can Do Selfish by participating in pre-planned events around your city (e.g. tree plantation drives, clean-ups, etc. ), organise your own event or plan to take your maid’s children out for an ice-cream. Remember, no act is too small or too selfish.